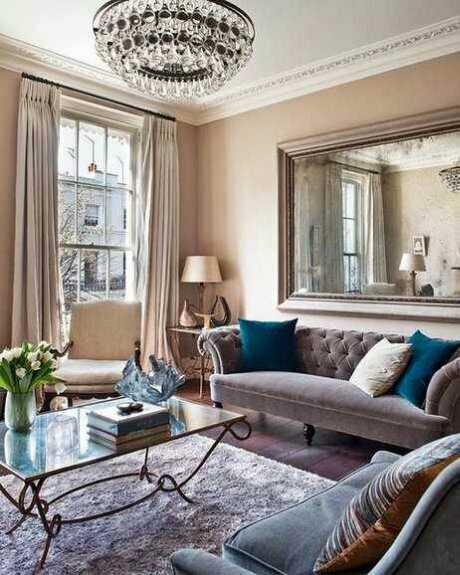 This living room is pretty. It looks like a nice place to take a moment for self before starting the day. A moment to perk up with a cup of coffee or tea. A moment to appreciate the light and sun that floods in between those romantic drapes. A moment of still and calm in a comfortable yet glamorous setting. That’s what this room looks like to me. One without a tv or any other entertainment distractions. A place to clear the mind and be still in one’s own thoughts. A place to meditate and pray for a day filled with fulfillment and producitivity. That’s what this room looks like to me.